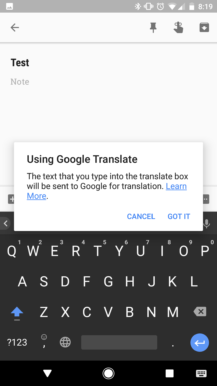 When opening the row of buttons on Gboard 6.1, a new Translate icon is visible. Once you tap it, and allow Google to send your text to its servers for translation (this only applies when using the translate feature), you're ready to go. 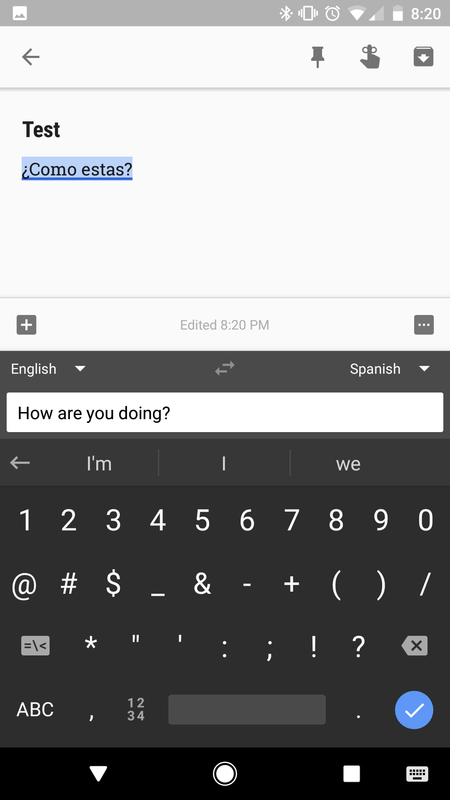 Your input switches to a text field in the keyboard, and on every key press, the text is translated and pasted into the app. 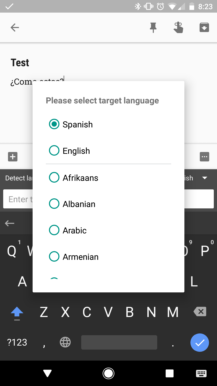 As you can imagine, this saves quite a bit of time as you don't have to open the full Google Translate. Unfortunately, this feature doesn't work offline - even if you have saved a language for offline use in the Translate app. Next up is the new theme selector. 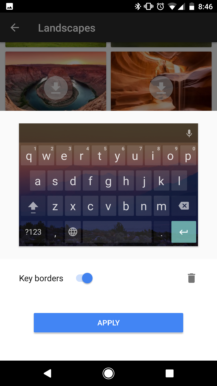 Gboard has supported changing the background to another color or image for a while now, but this update improves the experience a bit. 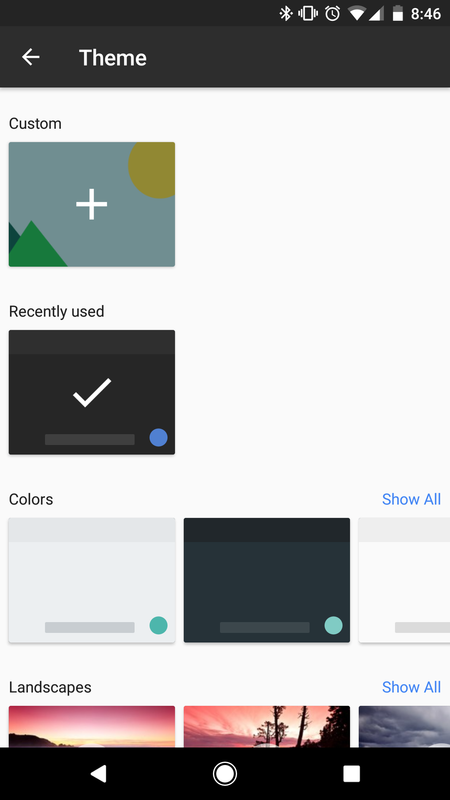 The selector UI now separates solid color themes, recently used themes, and 'Landscapes' into separate rows. 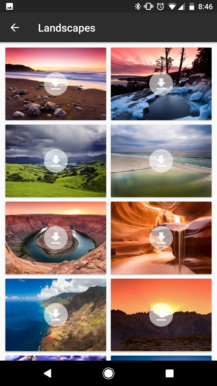 The latter is a collection of sample images that can be added very easily - much like the Landscapes category on the Pixel wallpaper picker. 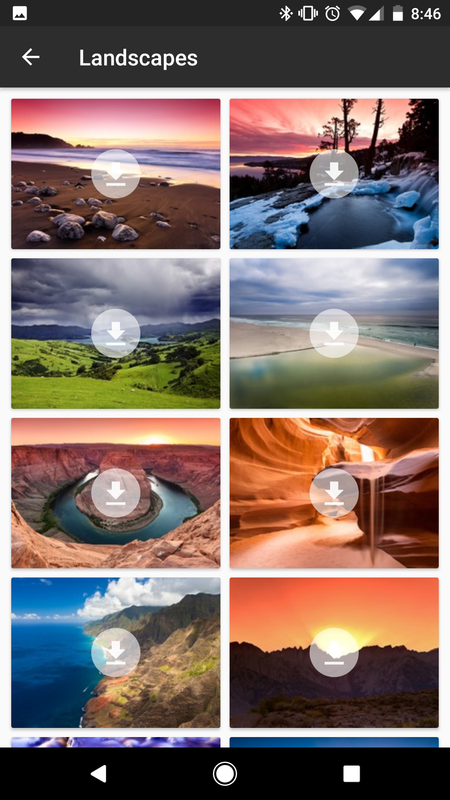 There are a few other additions included in this update. 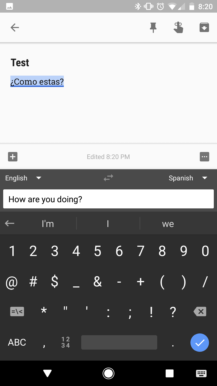 The keyboard now downloads a small library of suggestions to your device, there's a shortcut to the Google voice typing settings in the keyboard settings, it can predict emojis, and the keyboard now supports the Bashkir language. 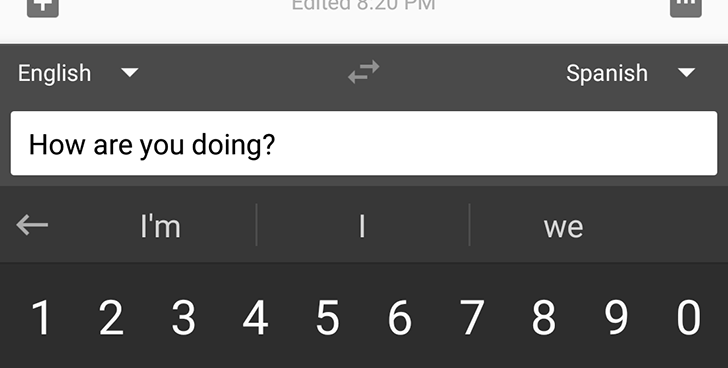 You can sign up for the Gboard beta by following this link, or if you prefer, grab it from APKMirror.